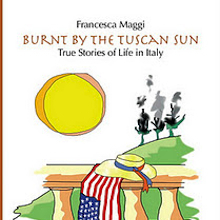 Francesca Maggi’s Burnt by the Tuscan Sun: True Stories of Life in Italy is a series of well-crafted, funny essays that offer the reader an inside look at what it’s really like to live in the Bel Paese. Five espresso cups out of five! 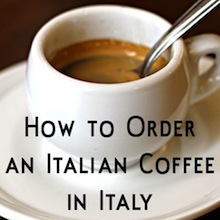 How to Order an Italian Coffee in Italy would be a fabulous gift for coffee lovers, Italophiles, or anyone headed to Italy — and for $0.99 on Kindle, there’s just no better Italian coffee resource out there. I’m grateful this Thanksgiving for another opportunity to learn from disappointment, to appreciate my friends around the world, and to celebrate another day in a place I love with the man I love (who also happens to make a mean pizza). 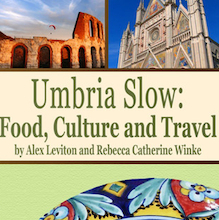 If you’re headed to Umbria, leave the guidebook at home and get this on your iPhone, iPad, or iPod Touch stat.